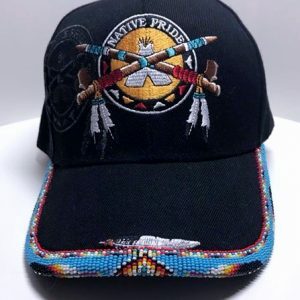 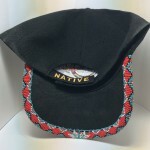 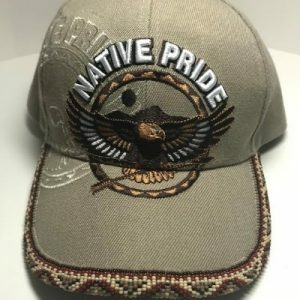 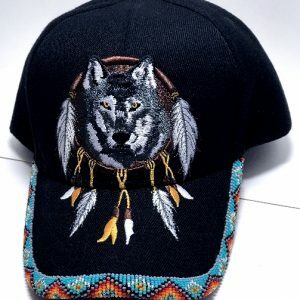 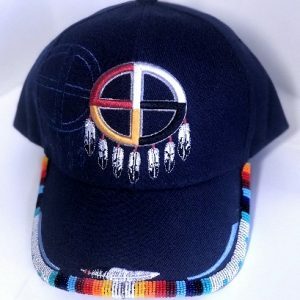 Show your native pride with this awesome ‘Native Pride’ hand beaded baseball cap. 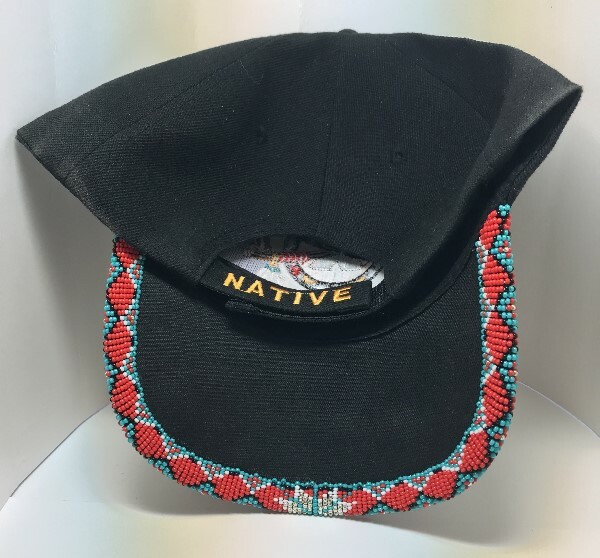 This is a standard size black baseball cap with an adjustable velcro closure in the back with the word “NATIVE” printed on it. 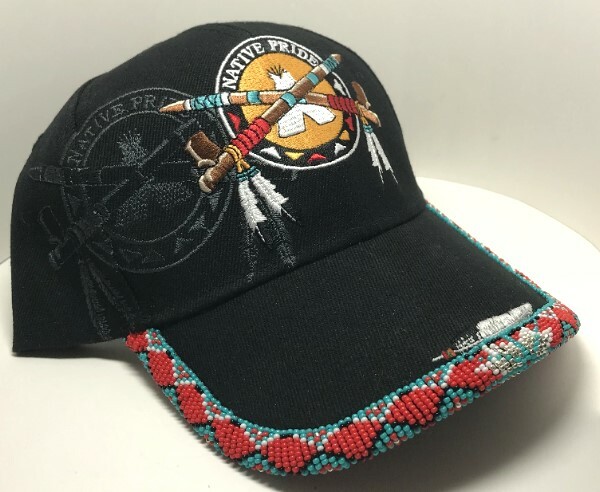 The front of the cap features a Native Pride tipi emblem with 2 crossed pipes representing peace. 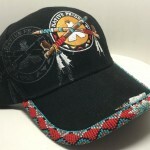 There is also an honor feather painted on the top of the brim & an embossed shadow image on the side. 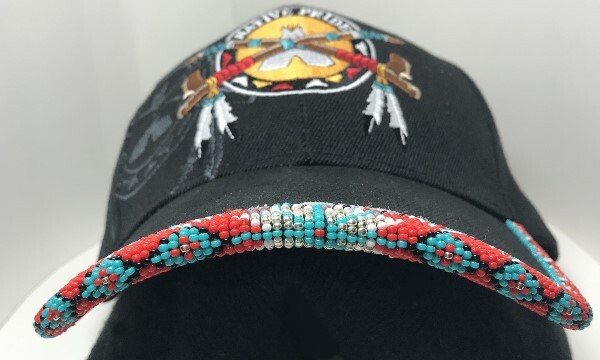 The brim of the cap is beaded by hand in colorful seed beads.